Terrorism: What does the Boko Haram/ISIS alliance mean? What does the Boko Haram/ISIS alliance mean? 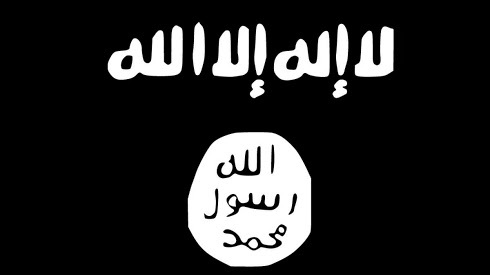 NAIROBI, 10 March 2015 (IRIN) - Nigeria’s insurgent group Jama'atu Ahlis Sunna Lidda'awati wal-Jihad (People Committed to the Propagation of the Prophet's Teachings and Jihad), better known as Boko Haram, has declared allegiance to the Islamic State of Iraq and Syria (ISIS). While commentators – perhaps some with the benefit of hindsight – say this had been on the cards, what does it actually mean? IRIN takes a closer look at the implications of the announcement, made in an audio recording by Boko Haram leader Abubaker Shekau over the weekend. Nobody quite knows. Shekau introduced himself as the Imam of Boko Haram, and swore bay’ah (allegiance) “to the Caliph of the Muslims” ISIS leader Abu Bakr al-Baghdadi, saying he would “hear and obey in times of difficulty and prosperity”. In a formal sense it means that Shekau accepts the authority of Baghdadi as caliph – the transnational leader of all Muslims. But Human Rights Watch researcher Mausi Segun says she is “not sure Shekau is ready to yield any part of his authority to ISIS”. Fatima Akilu, director of behavioral analysis in Nigeria’s Office of the National Security Adviser, doesn’t see Shekau’s personality allowing him to be “under another person’s authority”. And according to Ryan Cummings, chief security analyst for Africa at the crisis management firm red24, “declaring allegiance doesn’t necessarily mean taking direction”. He believes Boko Haram’s narrow focus on Nigeria and the Lake Chad region may well continue, rather than the group turning to wage a broader jihadist war. Cummings points out that ISIS has not yet formally accepted Shekau’s bay’ah - but this is presumably only a formality. The ISIS-linked Amaq news agency reported that fighters in Syria’s ar-Raqqah governorate “celebrated through the city streets” following news of the pledge, according to the jihadist monitoring service, SITE. ISIS’s Twitter accounts also published “welcome” messages to Boko Haram. Is this out of the blue? Commentators have noted that links between the two organisations have long-been flagged through video and social media “shout-outs”. When Shekau announced the creation of a caliphate in the captured Nigerian town of Gwoza in August 2014, his video made reference to al-Bagdahdi, who had proclaimed an ISIS caliphate in June. ISIS had earlier approvingly cited Boko Haram’s abduction of the Chibok school girls in April 2014 to justify its enslavement of Yazidi women. In November, issue 5 of ISIS’s glossy English-language Dabiq magazine said that bay’ah had been received from "Nigeria", among other territories, but recognition was being delayed. “This delay should end with … the appointment or recognition of leadership” by the Caliph for “those lands where multiple groups have given [allegiance] and merged,” the magazine said. It was possibly a reference to the re-unification of elements of Boko Haram’s breakaway Ansaru faction, according to Jacob Zenn of the extremist monitoring group Jamestown Foundation, quoted by CNN. Most commentators have pointed to Boko Haram’s improved communication technical skills as further indication that links pre-dated last weekend’s announcement. Does it have operational significance? Boko Haram is known to have long-standing connections to Al-Qaeda-aligned Al Shabaab in Somalia and Al Qaeda in the Islamic Maghreb (AQIM). But ISIS has made significant inroads into North Africa, with allegiance sworn by Egypt’s most active jihadist group Ansar Beit al-Maqdis, Algeria’s Jund al-Khilifa - which broke away from AQIM - and perhaps more significantly, the rise of Ansar al-Sharia in Libya. “It is easy to understand the attraction to ISIS and the growing disenchantment of younger militants with Al Qaeda with its ageing leadership and its inability to carry out a major attack against the West. By contrast, ISIS with its slick recruitment videos, is carving out a large swathe of territory in Iraq and Syria and its military successes in spite of Western airstrikes is especially appealing to the youth,” wrote Hussein Solomon, for the think tank Research on Islam and Muslims in Africa. Is Boko Haram now in the jihadist mainstream? Yes, and it’s new-found credibility is a significant plus for the organization. Shekau’s past media performances have been “erratic” and unlikely to appeal to a sophisticated audience abroad, said Usman-Janguza. His at times deranged diatribes, worthy of a Nollywood-style villain, are either the result of atrocious acting by a body double hired to impersonate the actually deceased leader - as researcher Andrea Brigalia insists – or, by Akilu’s reckoning, the result of the strain of being a hunted man. Boko Haram always was to a great extent a local Nigerian phenomenon. It has its roots in the Wahabist Jama’t Izalat al Bid’a Wa Iqamat al Sunna (Society of Removal of Innovation and Reestablishment of the Sunna), also known as Izala, that was founded in 1978 with Saudi backing. Izala was in direct opposition to Nigeria’ s ancient Sufi traditions and far more liberal interpretation of Islam. Under Mohamed Yusuf, the founder of Boko Haram who regarded himself a scholar, the group was almost mainstream (although it still killed Muslims that opposed it, allegedly including Yusuf’s mentor, Ja'afar Mahmud Adam). Shekau took over in 2009 with the death of Yusuf in Boko Haram’s aborted uprising, and is far more the soldier than the sage, according to Akilu. Boko Haram’s limited ideological horizons, fixated on battling Nigeria’s secular state, was one reason for the breakaway of Jama'atu An'aril Muslimina fi Biladis Sudan (the Vanguard for the Protection of Muslims in Black Lands), better known as Ansaru – with its far more pan-Africanist outlook. According to Nigeria’s Office of the National Security Adviser, Boko Haram further localizes its appeal by drawing 85 percent of its recruits from its Borno State stronghold, thereby narrowing membership to largely a Kanuri ethnic pool. Its extreme violence, and failure to distinguish Muslims from non-Muslims in its attacks, was further cause for the rupture with Ansaru, which now seems at least partially repaired. Boko Haram has potentially widened its appeal with the ISIS endorsement. “It has enhanced its jihadist credentials in the wider West African region,” said Cummings. Boko Haram’s videos are now subtitled in French, a clear nod to a neigbouring francophone audience. Validation by ISIS also provides the oportunity for “people who want to fight for ISIS, but can’t get to the Levant” to join Boko Haram instead. Nigerians that have the wherewithal have made their way to Syria to join Baghdadi. The latest publicized case was last week, with the son of a former chief justice, who crossed to Syria from Turkey. For others, a homegrown Boko Haram, authenticated by jihadi “central command”, may be an alternative. Boko Haram is “being pummeled, deterritorialized, but I would hesitate to say these guys are on their last legs,” said Usman-Janguza, a UK-based member of a Nigeria-focused security forum. “They will definitely go back to their old guerilla tactics” employed before they started seizing towns and territory last year. Cummings believes a bombing campaign aimed at Nigeria’s presidential elections due on 28 March is a distinct possibility, with potentially attacks beyond Boko Haram’s traditional northern zone of operations.